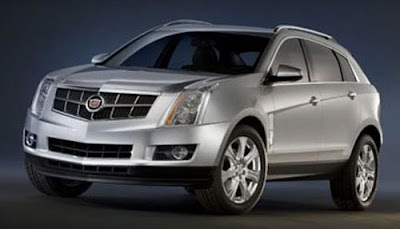 The "smaller than the current one" SRX will be offered with GM's well knows 3.6 Liter engine. And it will also have the option of the new 2.3 Liter 4 cylinder with 210hp. Although this one might only be offered in Europe. Just like the new 2.9 Liter Bi-Turbo diesel with 250hp. At least they do try to follow the market trend towards smaller engine. I always thought 3.0 Liter was plenty for most V6 uses. And another good looking part of the car. 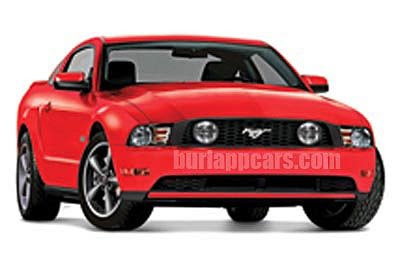 Remember the Mustang starts at around $21 000. 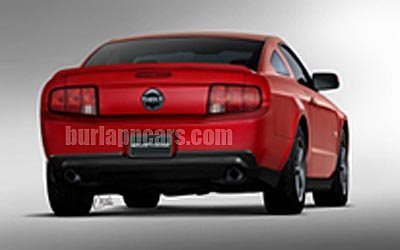 Looks like Ford will have some potentially popular models next year. With the new Fusion and Mustang. Plus the already popular Focus. 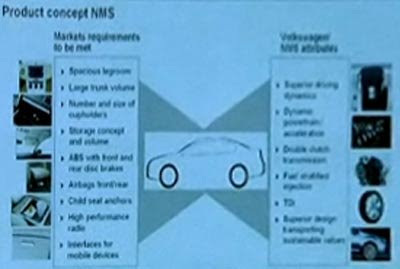 At a recent meeting, some of the VW suits gave a few new info on the all new "US only" mid sized sedan that VW will build in their new US plant. Not that many news really. Except it will be great. Sure. This is one of the pics from the video presentation. No actual pictures of the car were available. I just wonder what'll happen to the Passat in the US once this is out. Will Europe get a new Passat while we get this??? I always liked the Milan. Sure, it's just a Fusion with different trim. Just like what they used to do in the 70's. But it is still a really nice looking car. The new "revised" one also looks really good. I just hope they will push the Hybrid version. 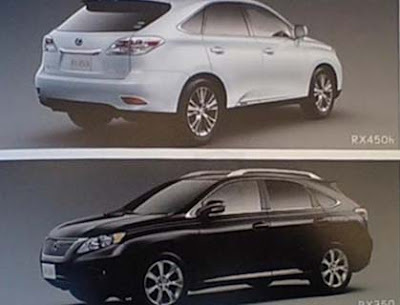 The specs seem superior to the Camry, and it looks better. Mercury is supposed to be getting cars "designed and engineered by Ford Europe" within a couple of years. At least it looks like they aren't going to kill the brand after all..
As it should be, for the price. We'll see a lot more of this car really soon. 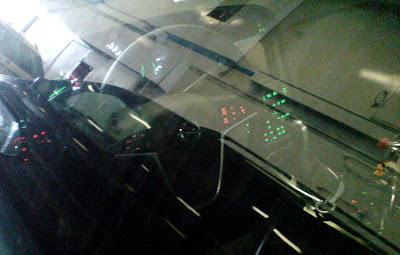 This super cool new instrument panel will be what you get when you order the Hybrid version of the 2010 Fusion or Milan. I was looking for more than the instrument panle. 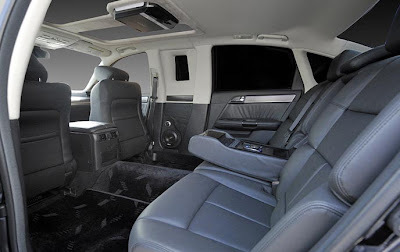 But the video is filmed and edited in such way that you never see the redesigned interior or rear of the car. 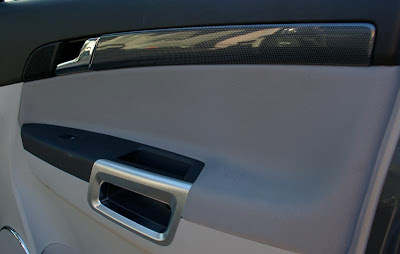 We do see the door panel and it does look the same as the current model. Looks like they are doing something to really make these new Hybrids attractive and different. There was never anything wrong with the front of the car. But at least it still looks good. 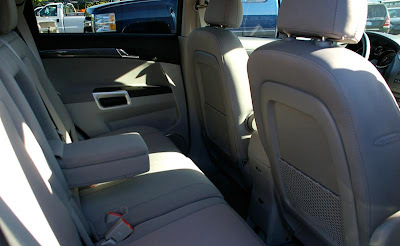 The rear and the interior are also supposed to be new. -The base engine is now a 2.5 Liter with 175hp. Plenty for 90% of customers. -The 3.0 Liter V6 is back, not with 240hp. I am glad to see they stick with the 3.0 Liter. I don't like the trend where V6 engines keep getting bigger and bigger. 3.0 Liter is plenty for a car this size. -The "new" 3.5 Liter is available on a Sport version only. But the biggest news are about the all new Hybrid model. 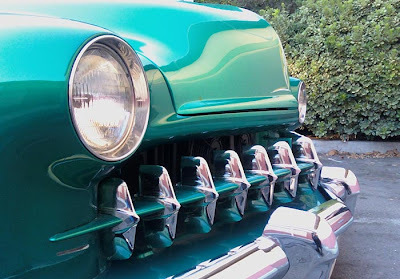 It can run on electric alone up to 47mph! That is pretty amazing. 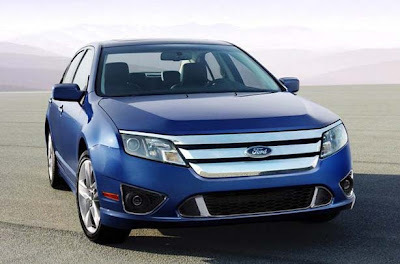 Ford claims the city mileage will be much better than the Camry Hybrid. By 5mpg! We need more hybrid mid sized sedans. Looking pretty much similar to the current model. Nothing exciting, really. Plus, it is now a bit bigger and even heavier. And the 3.5 Liter will get about 280hp. Not really what people might want right now. 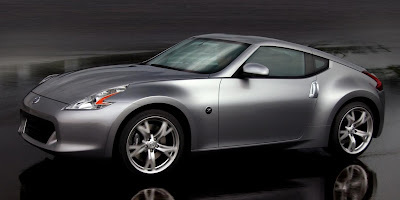 These are the first official pictures of the all new Nissan sports car. Even though the design isn't as pure as the current generation, it still looks great. 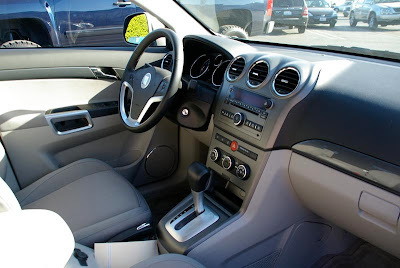 And the interior, just like the one in the new Maxima, could very well be from an Inifiniti. We'll know, and see, more later. What a nice looking little SUV. This concept will become production reality in Brazil next year. I think this would work very well over here too. Even better with a 4 door version. New Scirocco in the US? That is the word from VW spokesman Steve Keyes. It seems VW might change its mind, and bring the new Scirocco over here after all. Except "it would be positioned a little bit differently." What the hell does that mean. I would think in Europe is it sold as a sports coupe. What about over here. A fancy compact? A sports wagon? A luxury sedan??? I'm not sure what they mean by that. 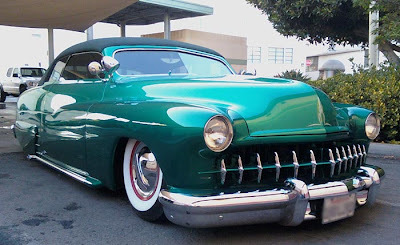 But I would love to see these cars over here. 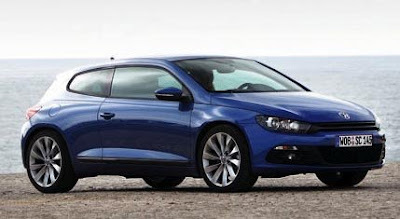 Anyone here would seriously consider the new Scirocco??? At least they didn't ruin it. the current model still looks great. A tough act to follow. I will be reporting soon on my weekly drive of the current model. The new one isn't out yet and obviously not available to drive. 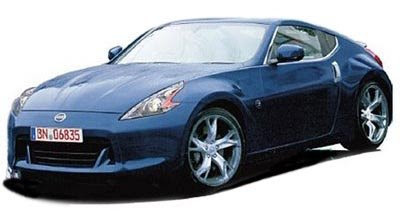 And I was always curious about the 350Z. Plus, once the new one comes out, the 2008 could be a really good deal. A weird name for a pretty normal looking car. 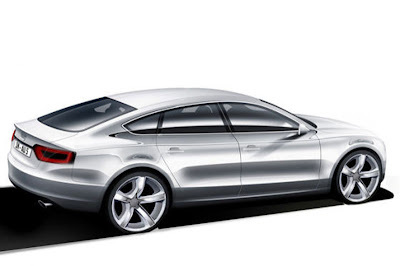 I'm not sure why they won't build a hatchback version of the A4 sedan. 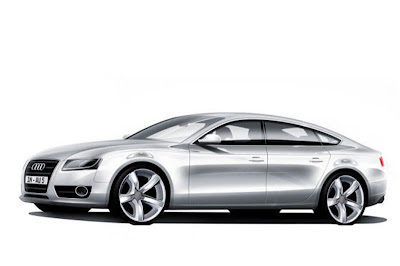 Adding 2 doors and a hatch to the A5 Coupe seems a lot of work to end up with basically the same thing. So I guess this will cost more than the A4. 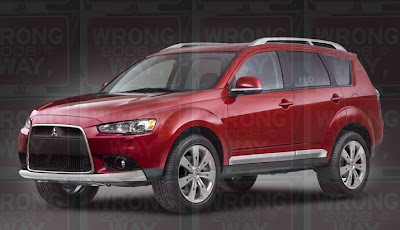 It looks like Mitsubishi is desperate to use the same face on all their cars. Is it really going to make a big change in sales? I almost never see the Outlander over here. Most people don't even know it exist. It's just not on the map of most buyers. And many people don't even think of Mitsubishi at all when buying a car. These guys need to do something. Fast. Their cash would be better spend in advertising. Letting people know they still exist. 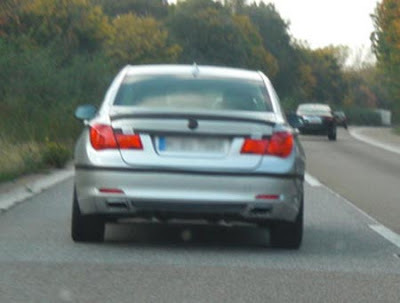 It looks like an Opel Insignia, but wait. Is has the Saab dashboard. 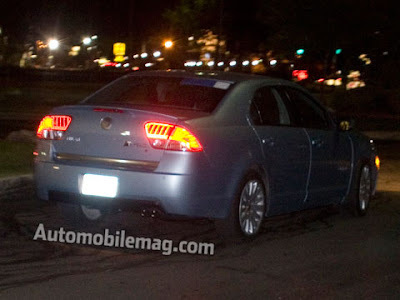 That means it's a Saab test mule! The next 9.5 will be based on the same platform as the new Insignia. I just wonder why they already fitted the mule with a Saab interior. Sure, it's just an illustration. 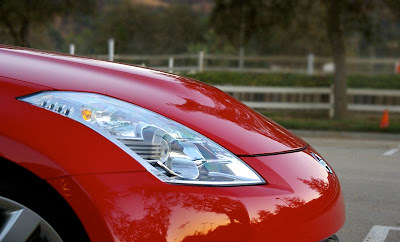 But so far, besides that earlier teaser pic, that's the only thing I've seen about the upcoming electric sedan. These are cars people working in the studio actually own. I am driving a Z for a week. And will be reporting on it soon. Go ahead if you have any questions. 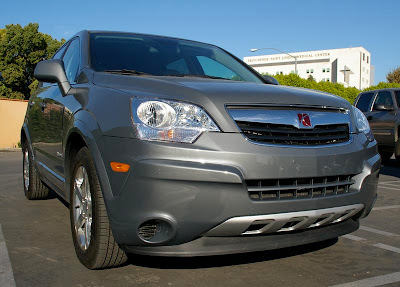 Saturn Vue Hybrid test drive. 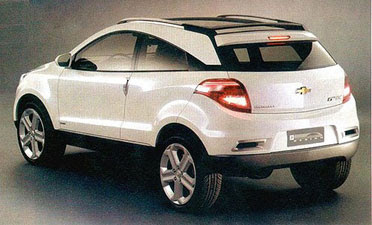 The new Saturn Vue looks much more upscale than the previous version. And it also looks more upscale than many other small SUV/Crossover cars on the road too. 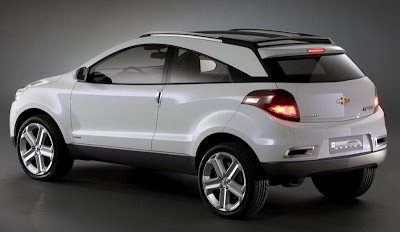 It is basically the US version of the Opel Antara. Which itself is the German version of a Daewoo model. 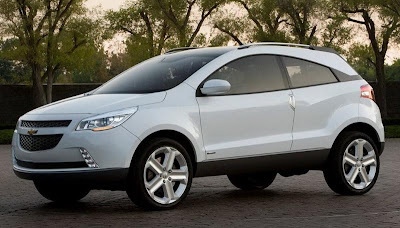 Unlike the Opel, our version is produced in Mexico. 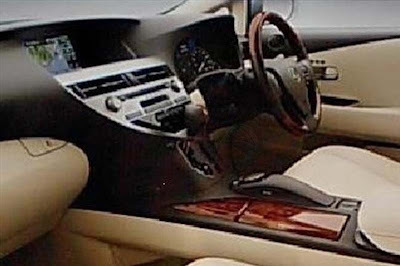 The interior is very nice. There is really nothing wrong. Everything seems well put together. All materials used are of good quality. It feels solid. Some nice metallic "looking" bits even ad a bit of a modern/designy look to the whole thing. It is also pretty roomy. The only thing I really didn't like was the grey cloth in my test car. It does cheapen the whole thing. And gives it rental car feel. Not really what I want in a small SUV starting at almost $26 000. The ride is very nice, just a little bit on the side of firm. But it always feels like a car. Really nothing special here, but nothing wrong either. The first thing I noticed was how big the steering wheel is. Kind of like in an old Mercedes. And it doesn't feel great. It also doesn't really "turn back" when coming out of a curve. It lacks any feeling at all. "Numb at all speed" would be a good way to describe it. That makes for a total lack of fun whenever I drove it. It was just not a car I was looking forward to driving every morning. Just something that "gets you there". 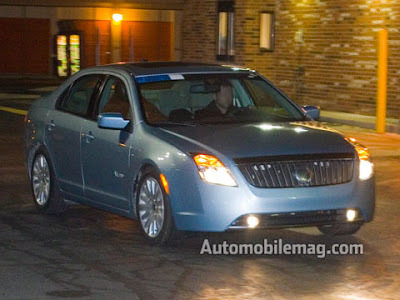 Similar to the one used in the Malibu and Aura. But not as super quiet as in these other 2 cars. Still very smooth and refined. The problem is the power. It feels pretty peppy around town. So it would feel quite nice in a quick test drive. But on the freeway, trying to pass etc....It is just too slow. And I was the only one in the car. I cannot imagine 5 people and luggage trying to get over the grapevine in this. Another problem. It has only 4 gears. In a car whose only reason to exist is gas mileage! Same problem with the Malibu Hybrid in its 1st year. 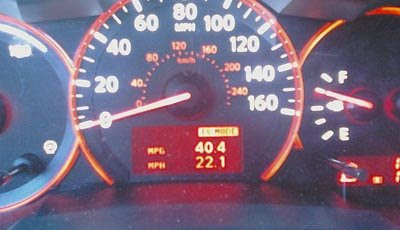 The 2.4 Liter 6 speed auto gets about the same mileage. 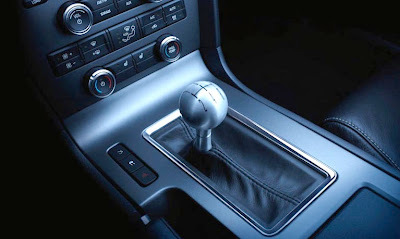 And, again, just like in the Malibu Hybrid, the transmission refuses to downshift. Unless you literally floor it. A cheap gimmick to squeeze an extra 1 or 2 MPG. Not worth it. the worse part of the Vue Hybrid was the every day mileage. 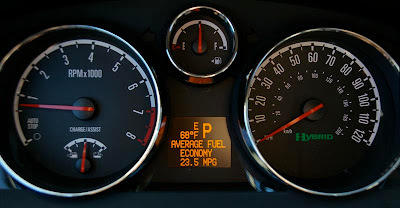 In my weekly travels, which include about 35% highway, I could only average a bit over 23MPG. Which is less than the Malibu with a "regular" 2.4 Liter. I would think that if the regular Vue was fitted with the 6 speed auto, it would also get similar mileage. 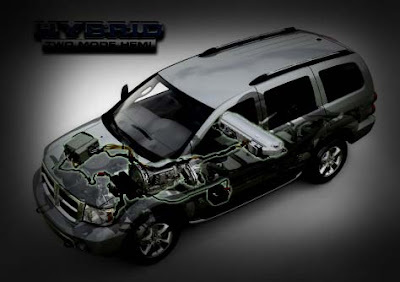 The problem is that you pay an extra $4000 for the Hybrid system on the Vue. What you're getting for that cash is pretty much a couple of Hybrid logos. And that's it. The electric battery is just there to assist the gas engine. It never runs on the electric motor alone. 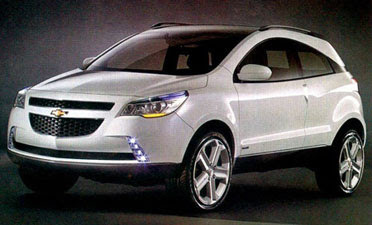 GM is planning a 2 mode Hybrid for next year on the Vue. But so far, it will be only on the V6. They'll claim that you'll be able to get V6 performance with 4 Cylinder gas mileage. But that's not really what people want. We just want the best mileage, period. I really think small SUVS with big V6 engines are on their way out. They need to put the 2 mode on the 2.4 Liter version. So I cannot recommend the Vue hybrid to anyone. I do think the Vue is a nice compact SUV. Even better if they ever offer the 6 speed auto in the small engine. This is for the Brazilian market only, so far. And it looks like a concept anyway. One of these that are=actually very close to a production version. It does look pretty nice. Maybe too small for the US. Or not. It is based on the European Opel Corsa and will be getting a 1.4 Liter and 1.8 Liter engine. Clint, pissed of because some young punk stole his 1972 Gran Torino. That's really the 1st time I see any picture of the upcoming Tesla sedan. 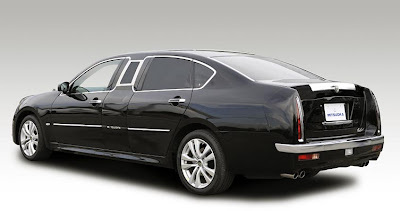 It is supposed to cost around $50 000 and be the size of a BMW 5 series. And coming out for the 2010 model year. 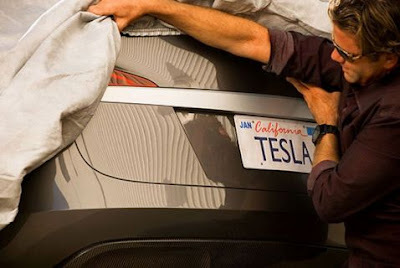 Tesla has been laying off a lot of people lately, so we'll see what happens to this car. Chrysler's Newark plant will be closing early. Which means the Durango and Aspen Hybrid production will end. Jut when they finally make it into the dealerships. Not 100% sure, but these sure look like the real thing. Unfortunately.. So I just hope they're not. The all blacked out front end just looks too weird. Maybe some special version or something. 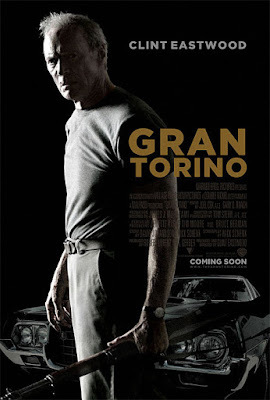 From the official teasers we've sen from Ford, I was just expecting a bit more. 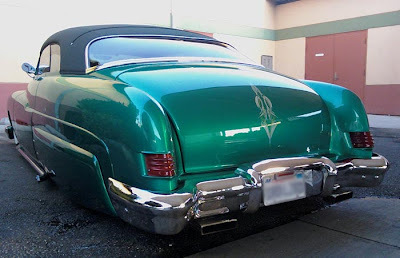 But that rear end shot just looks real to me. We'll see in a few weeks. Or before. Thanks to a reader for these. These illustrations from Auto Express look great. 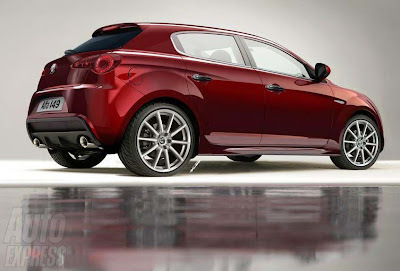 If the next Italian Focus/Golf competitor could look like that, it would be quite amazing. 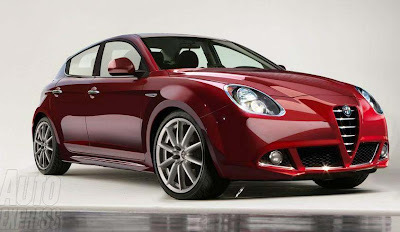 And with Alfa coming back to the US (whenever that is), we might even see it over here. We do need more fuel efficient upscale small cars. This is the most relaxed, or the craziest driver I've ever seen. 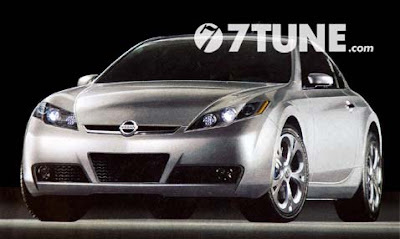 They have new decided to stop work on their new line of V6 engines. Last week they also canceled their new 6 speed automatic transmission. A 6 speed auto and a modern V6 are two things GM already has. 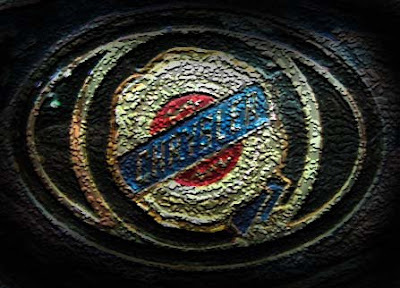 Which feeds even more the rumors of a "merger" between chrysler and GM. 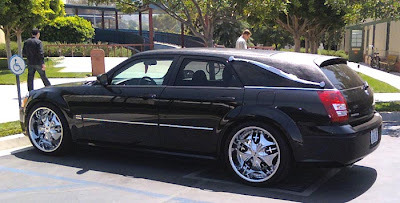 But again, I do not think there is any room at GM for more deadbeat brands like Dodge and Chrysler. The weird thing to me is the GM part. Why do they want Chrysler? I would have though a European car maker who wants to re-enter the US market, like Renault, Fiat or Peugeot, would have been more interested. All because of horrible management making stupid decisions. Over and over again. This is just an illustration, and I hope the real thing looks better. It is rumored to be getting a small 1.6 Liter engine with a Turbo. Power could be as high as 250hp. Which would be more than enough. 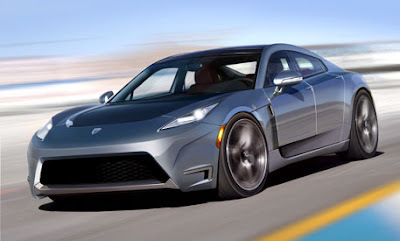 It will compete with another small RWD Coupe from Toyota/Subaru. But some big GM suits were at the Chinese factory a few weeks ago, and now the car will be 2 months late. It will come out in December instead of this month. 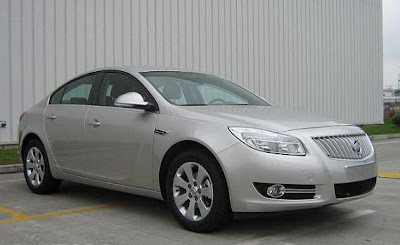 Also, it seems GM won't be offering a V6 in this Chinese version of the Insignia. Instead, relying on a few 4 cylinders, all with Turbos. Like a 1.6 Liter Turbo with 180hp. And a 2.0 Liter Turbo with 220hp. How about these in the US? But remember, soon to be Scion in the US. 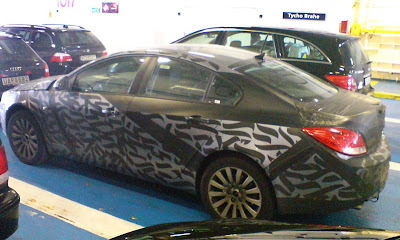 It does have a bit of camouflage on it. Ford getting rid of Mazda??? GM/Chrysler merger in the works??? Alfa Romeo back in the US!! !